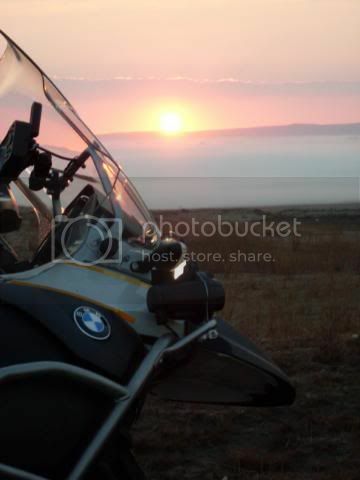 These pic's are the reason I bought a bike can't wait to get out there and take pic's myself. Every time I see the bikes like this, I remember how much fun we had. We hit the MP burgs near Wakkerstroom. Damn we had a good ride!!!!! 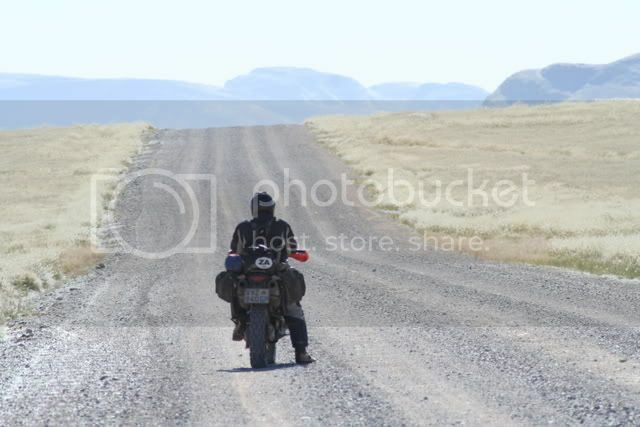 Recent Trip - Hofmeyr to Cape Town via Riebeek East and Baviaans Kloof. Elmo and that's your all time favourite riding/travel picture? Given it's a freaking lekker picture. NC whats to C when the new CRF 1000 arrive! Waarom omdraai as die pad ophou? Hiedie spruit moet tog ernste begin? Same spot seen from another perspective. we took the route to the left over the stream. Fun,but hard work. "Dad, when I grow up I want to ride motorbikes like you do." "Son, you can't do both." Pic's taken at Koffiebus & Teebus (Steynsburg) neat my dads farm, on our way from Cape Town to the Roof af Africa. Best sunset ever! Let's go on a trip!!!! Hoop foto laai saam af.Botswana trip 2008 na Mabuasehube. 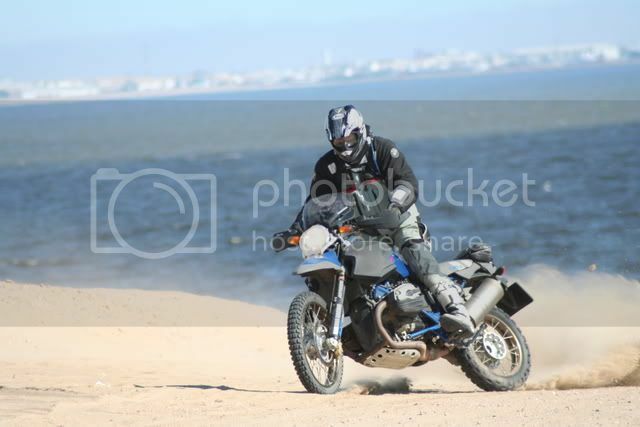 Those Mabuasehube loins must have thought to themselves; "if we can't get that damn elusive springbuck for dinner tonight we will at least have easy pickings with that GS rider stuck in the sand". Did you Guys go through the reserve or just went on the road that follow the outskirts of the park? Not that it would make any difference to the lions there as I am sure they don,t no when they are inside or outside the park and those f..kers is huge!! Hi Bikes are allowed in the camp.So we rode on its border.